Need a small end table? Is my home ready to attract buyers? Home Staging - Creating beautiful functional spaces that buyers will love. We partner with you and your budget to maximize your home's potential for faster sale! Redesign - We start with what you have and make it better. Creating function, style and organization that fits how your family lives. 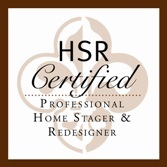 HSR Certified Professional Home Stager & Redesigner Serving Bucks and Montgomery Counties, PA. Making the most of your home for you to sell or enjoy! Top 5 Things to do before listing your home click this link to view. Staging in Bucks and Montgomery Counties is more critical than ever! Homes that aren’t staged are not selling or worse…they are hammered on price to desperately find a buyer. There is no need to lower your price when staging is the option! Some Realtors and home sellers will say that they have already “staged” their homes only to find that they will be lowering their price within the month. There is a vast difference between a home that was simply de-cluttered and cleaned (even if by the business cleaning services) and one that was professionally staged! Creating the “model home” look is not easily achieved without the help of someone who does this everyday for a living. Redesign can be a lot of fun, see the writing room and office I did for DK on my portfolio page. Once you identify how you want to use the space the fun begins. In the case of the writing room we found another home for her husband’s weights and desk and focused on how she wanted to use the space. She does editing and writing of her own and needed a tranquil inspiring uncluttered space. This is now her favorite room in the house. We started with the essentials the antique roll top desk she uses for writing, which was previously in the office back to back with her computer desk and many book cases; then brought in a comfortable chair lamp and table from other rooms, along with a small bookcase and some pictures from other rooms. Just rearranging and editing furniture made a huge difference in this room. The office had 3 desks, 5 book shelves and a wicker couch, we edited the bookcases to 2 large ones that flank the large window and kept the position of her desk so she is facing the door and can see out the window. The wicker couch now backs up to the desk to divide the room for sitting with a small coffee table in front of it, and got a face lift with new cushions and pillows from Pier One. We all have busy lives, I believe if we stop to see how we want to use a room and remove everything that is not part of the function of the room, it can make life easier. Getting organized can take a little time, staying organized is easy I can help you plan your rooms to function for your needs and easily add what you need to stay organized and uncluttered. Let the fun begin!